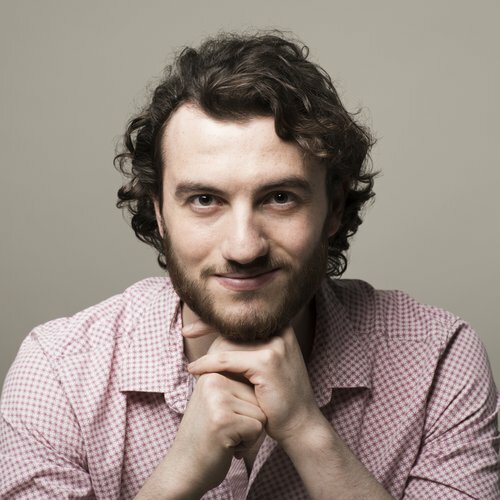 Scottish-Iranian bass-baritone Michael Mofidian is a 2018-20 Jette Parker Young Artist at the Royal Opera House, Covent Garden, where he makes his house début as Narumov The Queen of Spades, followed by roles including Figaro (cover) Le nozze di Figaro, Alcade La forza del destino, Angelotti Tosca and Zuniga Carmen, as well as the Minotaur in Henze's Phaedra at the Linbury Studio Theatre. A versatile singer and actor, Michael feels at home in a wide range of repertoire and styles, and is a keen performer of contemporary music. As a Jerwood Young Artist he made his Glyndebourne Festival début as Imperial Commissioner Madama Butterfly and the Doctor in Stefan Herheim's new production of Pelléas et Mélisande. His other operatic roles include Leporello Don Giovanni (British Youth Opera and Royal Academy Opera), Colline La bohème (Vivo D’Arte), The Protector Written on Skin (Royal Academy Opera, scenes), Masetto Don Giovanni (Royal Academy Opera, scenes), Don Alfonso Così fan tutte (RAM, scenes), and Noye Noyes Fludde (Hampton Court House). Along with his duo partner Keval Shah, Michael was a joint winner of the 2017 Oxford Lieder Young Artist Platform, through which he has given recitals in the Oxford Lieder Festival, in the Heidelberger Frühling, and at St John's, Smith Square; he has also performed at Kings Place and the Wigmore Hall. His keen interest in Russian song has led to, among other things, a performance of Shostakovich orchestral song conducted by Sir Mark Elder, and a recital at Kings Place alongside Sholto Kynoch, Joan Rodgers CBE and Guy Johnston. He has also performed at the Queen’s Hall, Edinburgh, with Malcolm Martineau. On the concert platform Michael has been a soloist with orchestras and ensembles including the Britten Sinfonia, His Majesties Sagbutts and Cornetts, and the London Mozart Players. His extensive concert repertory includes the Verdi Requiem, Bach St John Passion (Jesus, Pilate and arias), St Matthew Passion (Jesus, Pilate and arias), B minor mass, Ich habe Genug BWV 82 and many other cantatas; Haydn Creation, Handel Messiah, Stravinsky Les noces, Rossini Petite messe solenelle, Beethoven Missa solemnis and 9th Symphony, Mozart Requiem, Fauré Requiem and Dvořák Stabat mater. Michael is the grateful recipient of awards and sponsorship from the Sir James Caird Travelling Scholarships Trust, the Countess of Munster Musical Trust, Help Musicians UK (Tutton Award), Kirsten and Dwight Poler, Independent Opera at Sadlers Wells, the Associated Board of the Royal Schools of Music, and the Josephine Baker Trust. Recent competition successes include the ROSL Singers’ Prize, the Bruce Millar Gulliver Prize and the Pavarotti Prize. In masterclasses and individual coaching sessions he has worked with Malcolm Martineau, Simon Keenlyside, Brindley Sherratt, Roderick Williams, James Gilchrist, Ann Murray CBE and Christopher Purves. Michael is also a composer, and has been taught at various points by Sir James MacMillan, Richard Causton and Robin Holloway.